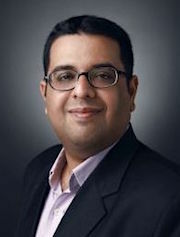 “Nikhil Pahwa. I’m from Delhi. What’s this for?” I pointed to the paper that Vikram was my details writing on. He wouldn’t tell me, saying that I’ll find out soon enough, but Deepak, who was standing beside me did, later. Vikram was compiling a list of people in the class – a list of Maharashtrians and non-Maharashtrians. For what? I never did find out. I never thought about my caste, religion or region before I went to college, and stayed in a hostel in Maharashtra. To tell you the truth, I still don’t know my caste, and I really don’t care. I’ve seen people (in that college) shocked when I’ve told them that. I was in Mumbai, the day the vandalism began; at the Airport, on my way out. Love the fast Wifi that Airtel has provided at the Airport. I was online, preparing for work the next day, when the Japanese businessman sitting beside me got up and turned around to look at the TV screen. Slowly, a crowd gathered near the screen, which repeatedly showed vandals destroying taxis, slapping people. The commentary was in Hindi, so he asked a someone about where this was happening, probably wanting to avoid the city. Mumbhai, Bombay? Today? He asked two other people, just to confirm. He was glad, he said, that he was on his way out, and sat down to read a magazine. During a recent debate on television, about the recent vandalism in Mumbai. AL Quadros, the Mumbai Taximen Union’s General Secretary, called Mumbai “Bombay” a few times. Each time, the Maharashtra Navnirman Sena representative on the panel told him to mind his language. *It’s strange that most media reports call them Workers, or Activists. Karyakarta. Not Vandals, Miscreants or Hooligans. This also holds true for the Nandigram war in West Bengal, the Gujjar agitation in Rajasthan, and several such incidents in the past. A legacy of our communist leanings, that we justify violence as a political movement. Aamchi Mumbai. Mumbai Aamchich. Our Mumbai. Mumbai is ours, and ours alone. Do you belong to a city, or does a city belong to you? For me, it’s more of the former. I love – I prefer – Delhi, the city I live in. It’s familiar: I know which lane moves the fastest at some traffic lights, and which route to take in the middle of the night. I know the best little places to eat, and where one can get food at 2 AM. That doesn’t mean I gravitate towards people from Delhi in a motley group. I dislike being bracketed, being called a Delhi-ite. “This city is becoming too crowded,” my cousin had told me four, maybe five, years ago. We were driving past what was then called the Centaur Hotel, one of the less crowded parts of the city. “There are too many outsiders now. These Bhaiiya log.” He liked the idea of a passport for Mumbaikars, to prevent “immigration” from other parts of the country. At that point in time, I was considering moving to Mumbai – still am – but still not very keen on it. What attracts me is the go-to-work attitude of the city, and all the friends I have there. What doesn’t, is the traveling, the rents and the apparent lack of cultural events that Delhi has in plenty. When a mob goes on a rampage, who do you hold responsible – the one who incited the violence, or those who committed it? Both. Rajdeep Sardesai has written an excellent article, moonlighting as a blog post, on the issue, here. Many a truth in it. 1. I am glad that save for a 2 month and a 15 day period each, I never lived in Bombay. Thank Goodness! For the record, I always disliked the city – intensely. I saw people and was reminded of cattle, flocks of sheep all heading one way, crammed in indignity, sweat and smells. 2. I have lived in Calcutta, Delhi, Bangalore and 5 other cities in India. People are as good or as bad as we think. For the record, Calcutta was my favourite city because ordinary people were great. There are many contenders for the worst place! 3. My best friend is a Marathi-speaking guy, ashamed of Maharastrians now. 4. Koopmandook – a powerful and evocative word! 6. I wrote a post once on ‘immigration’ which may interest you. 7. There is nothing wrong with knowing your caste. It helps root one’s sense of identity and claim it in all its glory. Perhaps not a question on your horizon because you have never been an immigrant anywhere but should you ever go to live long-term somewhere else, you will think about it. 🙂 Being Indian is more complex than it looks!